In the seventh episode of the NüVoices podcast, co-hosts Sophie Lu and Joanna Chiu interview author, journalist, activist, and NüVoices Collective editorial board member Lijia Zhang. But first, a reminder that the New York launch of the NüVoices Collective is happening this Thursday, November 1, at an event in Brooklyn, featuring Leta Hong Fincher, Rebecca Karl, and Lu Pin. Also, a important reminder that the deadline for submissions for the NüVoices Collective print anthology is coming up, December 1. See our website for more submission details! Writing in English, Lijia has found creative freedom and uses her strong literary voice to tell stories of China’s “little people” (小人物 xiǎorénwù) — those of the disadvantaged class who live on the margins of society. 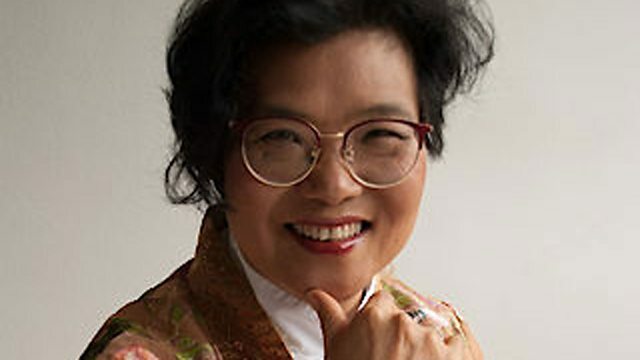 She seeks to bring to light many social inequalities while also telling the stories of Chinese people with humanity. You can learn more about her work in an upcoming episode of the BBC World Book Club podcast. She is currently researching a new book about China’s left-behind children. For books and self-care recommendations, Lijia loves Sketches From a Hunter’s Album, by Russian author Ivan Turgenev, and living a well-balanced life. Joanna suggests another great book about political activism in China, The Phoenix Years: Art, Resistance, and the Making of Modern China, by Madeleine O’Dea, and sleeping more. Finally, Sophie recommends CIRCE, a retelling of Homer’s Odyssey from the perspective of the witch Circe, and going to a great drag bingo.